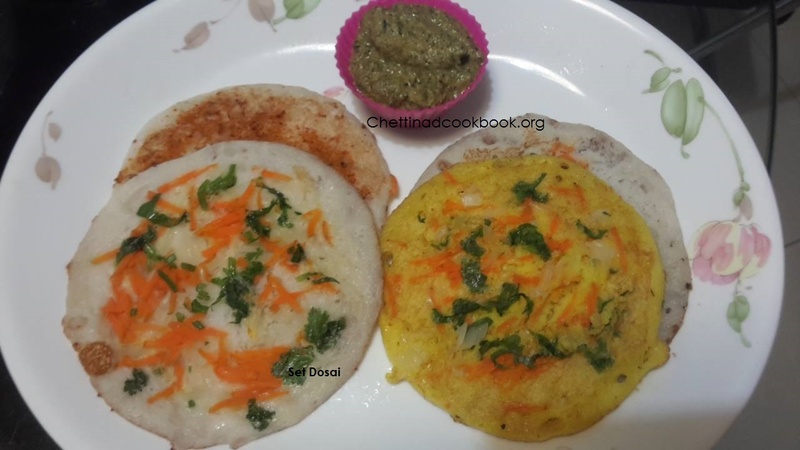 Dosa varieties are really interesting breakfast to all age people. 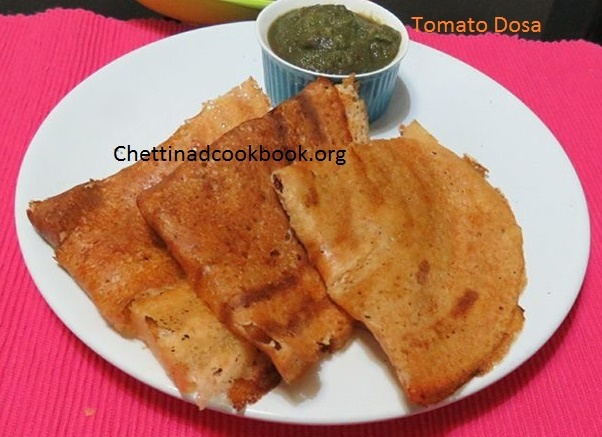 An appealing look and delicious taste of this Tomato dosa will please us to have more numbers. 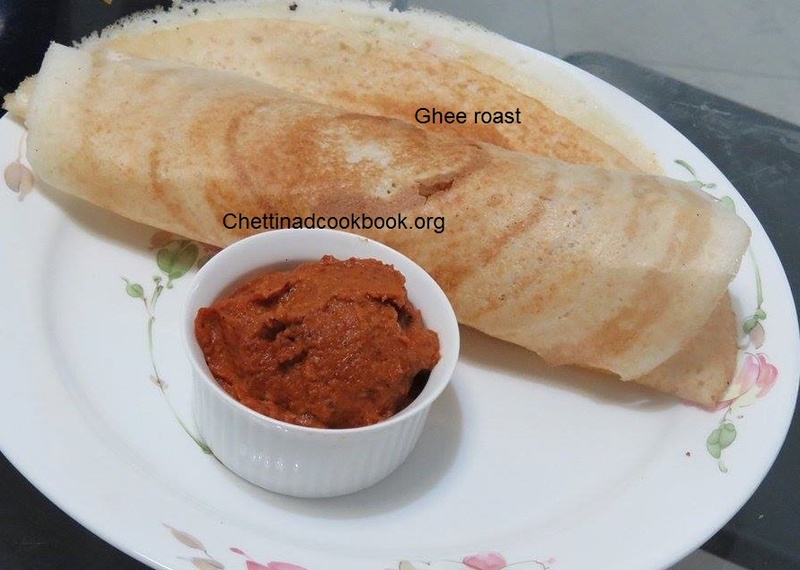 Simple and flavourful tomato dosa can be served with pudhina chutney or it will be tasty by itself on adding chilli and aromatic garlic or ginger while grinding. 1.Soak rice, Urad dal and methi seeds for 2 to 3 hours, cut tomatoes roughly. 2. 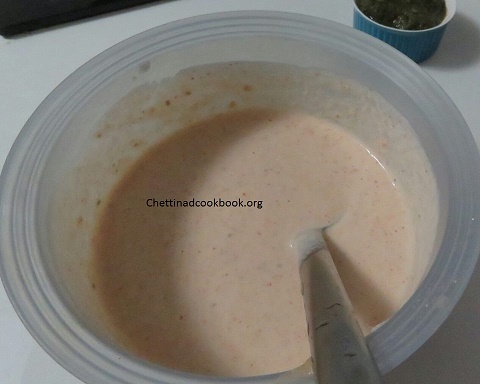 Add Ginger or Garlic, tomatoes, cumin seeds, chilli powder, soaked rice and dal, grind to a smooth batter. 3. 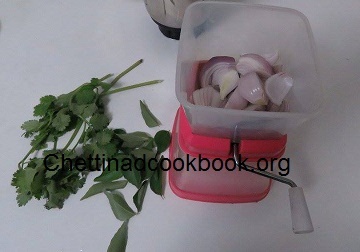 No need to fermentation add some chopped coriander leaves and salt mix well. 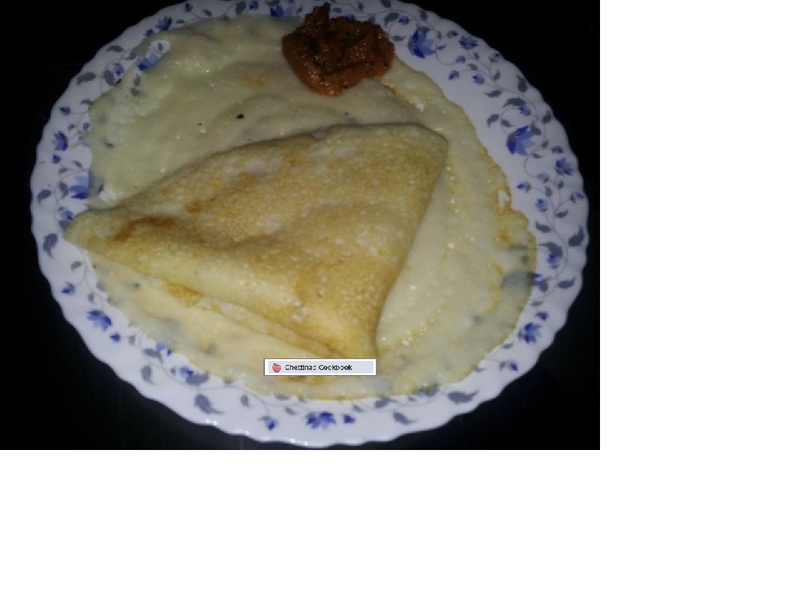 4.Heat dosa pan, take a ladle full of batter and spread it to a thin dosa. 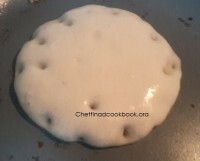 5.Cook on both the sides by turning it. 6. 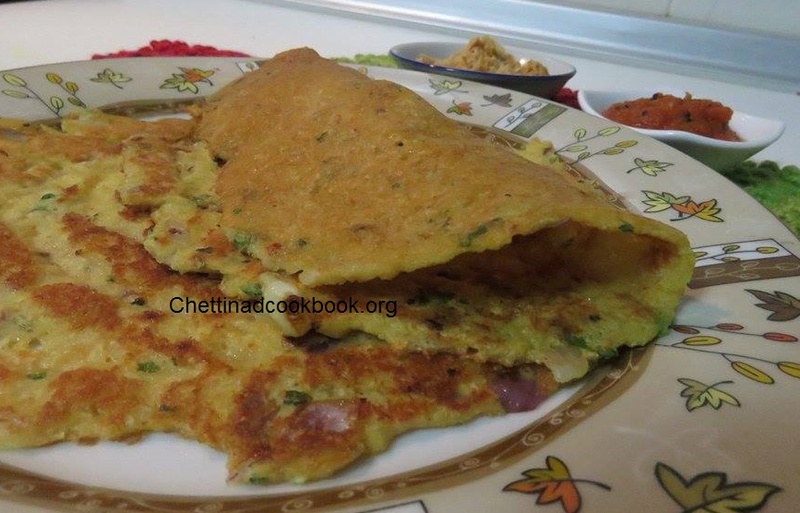 Hot red tomato dosa is ready, serve it with coriander or pudhina chutney. Varieties of roast mouth watering by its title. Everybody likes to have roast, it is an incomparable and flavorsome dish. No need to make side dish is another advantage of this roast. Crispy and crunchy Onion roast and Podi roast, Crispy, creamy Cheese roast, Crispy and caramelized sugar and nuts roast, Crispy and aromatic Ghee roast, awesome breakfast. 1. 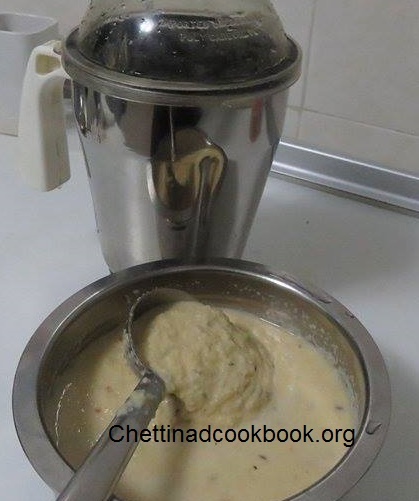 Dosa batter should not be more watery or too thick like idly batter. 3. Grind smoothly to make thin dosa. Do not ferment for a long time. 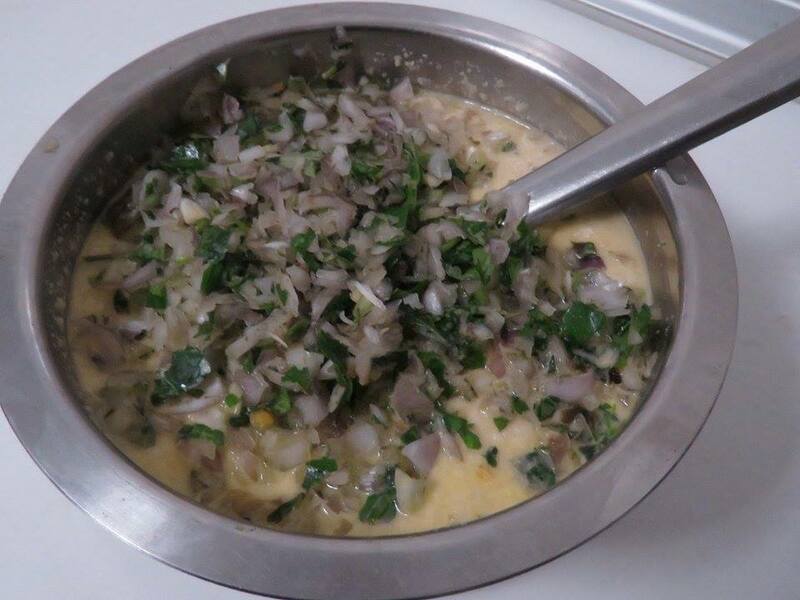 Chopped onion and coriander leaves can be mixed with cheese, to make it more flavourful. 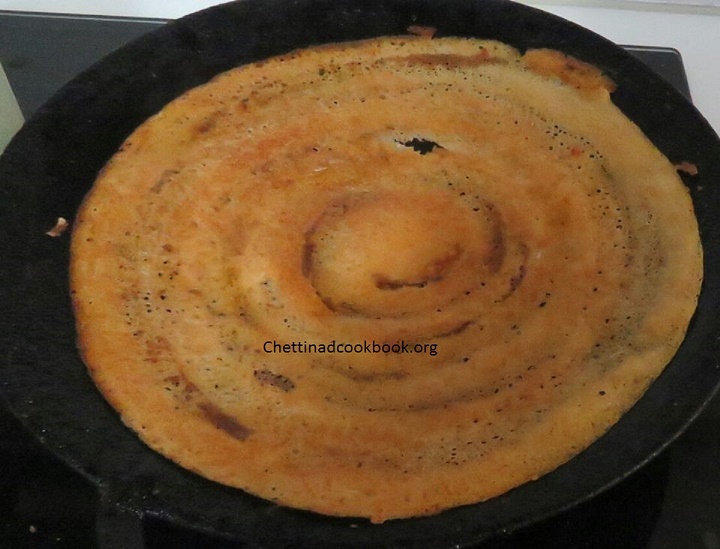 Heat pan, take a ladle full of dosa batter pour it in the center of the hot pan and spread it into a circular motion as much thin as you can. 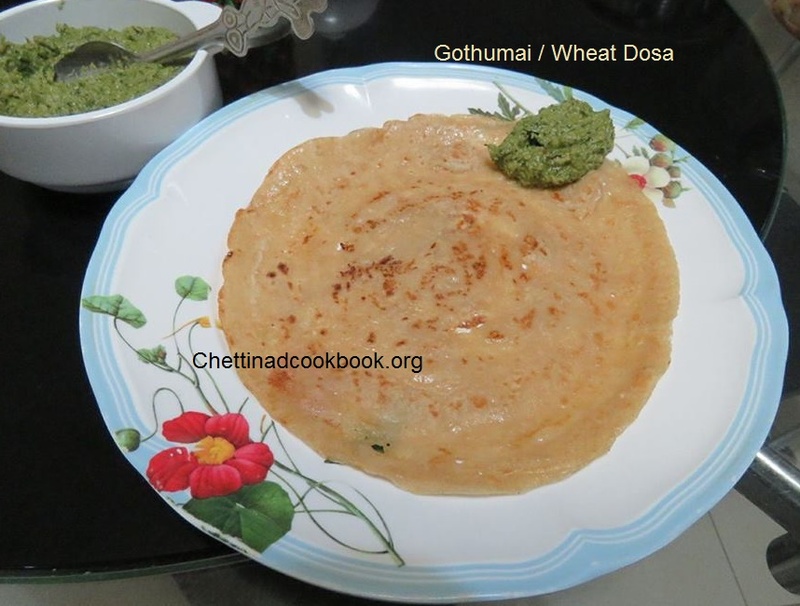 Sprinkle cheese on the thin dosa , smear some oil around the dosa, cook until it gets slightly golden brown around fold it to a semi circle gently. Toast it on both the sides by pressing on it. 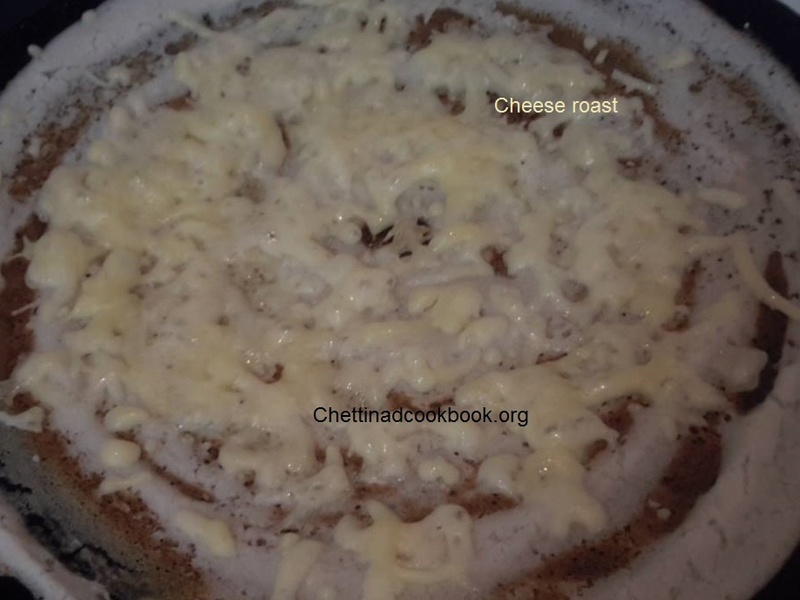 Cheese roast is ready. 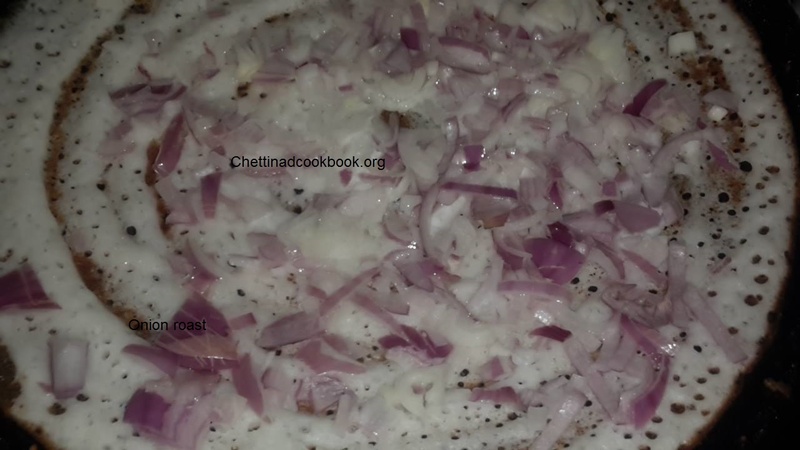 Sprinkle chopped Onion on the thin dosa press it slightly and gently, such that onion sticks on the dosa well, smear some oil around, cook until it gets slightly golden brown around, fold it to a semi-circle gently. Toast it on both the sides by pressing on it. Onion roast is ready. 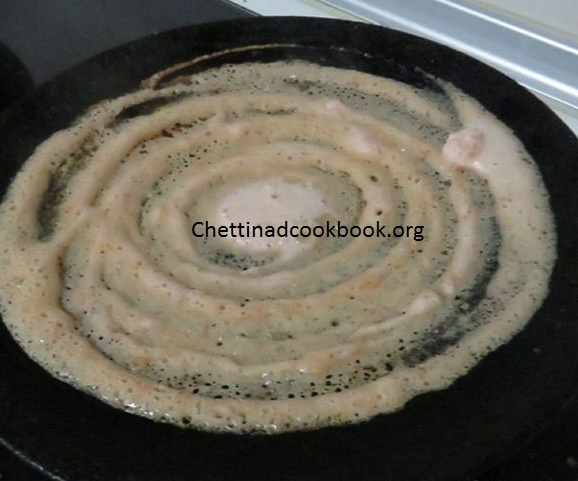 Sprinkle Podi on the thin dosa as soon as you made dosa on the pan , smear some oil around, cook until it gets slightly golden brown around, fold it to a semi-circle gently. Toast it on both the sides by pressing on it. 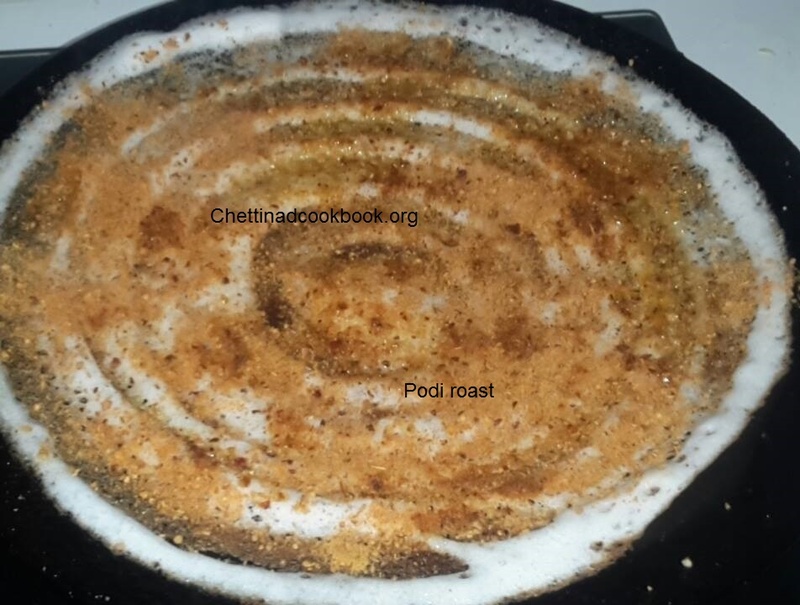 Podi roast is ready. Smear some ghee around, cook until it gets slightly golden brown around. Toast it on both the sides by adding rest of the ghee. Ghee roast is ready. Sprinkle sugar and nuts on it such that it spreads evenly on the thin dosa, smear some oil around, cook until it gets slightly golden brown around, fold it to a semi-circle gently. Toast it on both the sides by pressing on it. Sugar and nuts roast is ready. Sugar roast gets brown fast so be carefull do not heat pan in high flame. 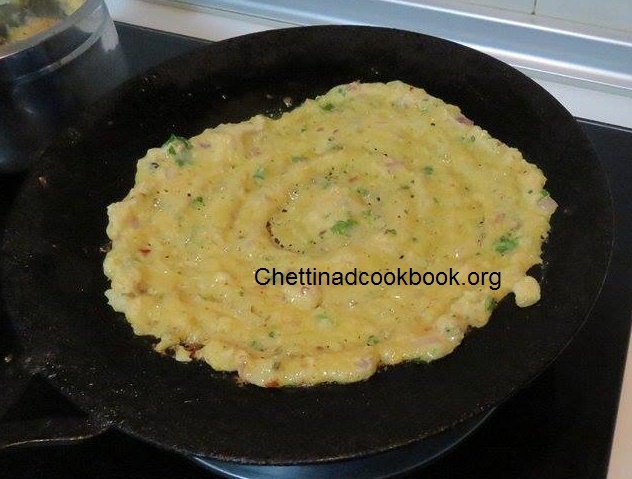 Protein rich Adai is a highly nutritional dish served for breakfast as a heavy meal. 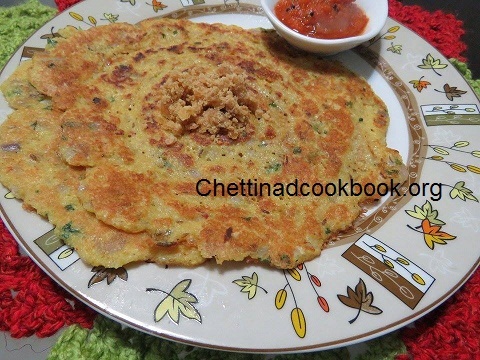 Crispy, mild spicy and toothsome adai with healthy dals and spices. 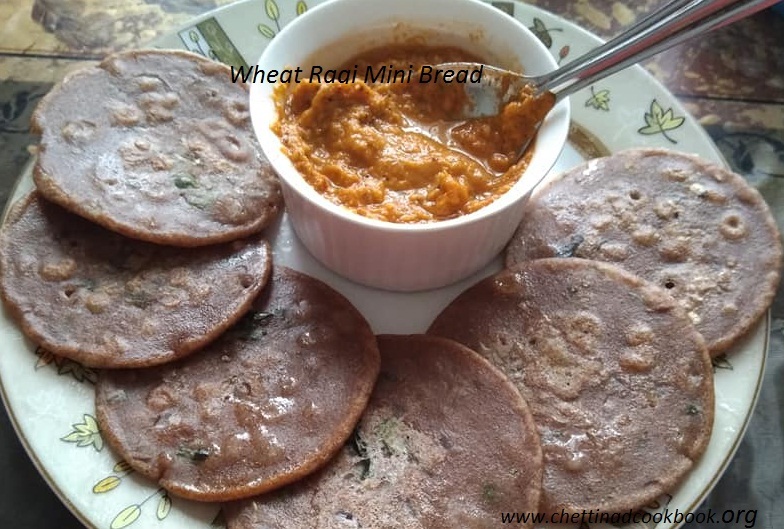 Great combination with powdered jaggery or any chutney from your repertoire. 1. Wash and soak all above mentioned Ingredients-1 for 2 hours. 2. 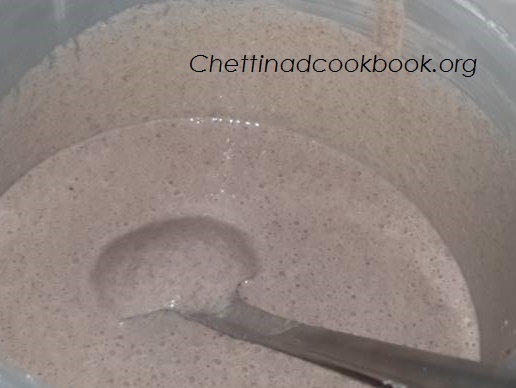 Coarse grind to a thick batter,add sago finally for a second or 2. 3.Chop all the above-mentioned Ingredients -2 and mix turmeric,coconut and salt. 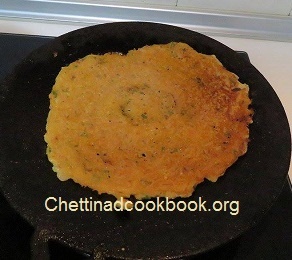 4.Heat tawa greas with little oil ,take ladle full of adai batter and make little thick dosa. 5. When it is cooked turn otherside and pour oil around cook in medium flame, till golden yellow. We are never bored with dosa varieties. 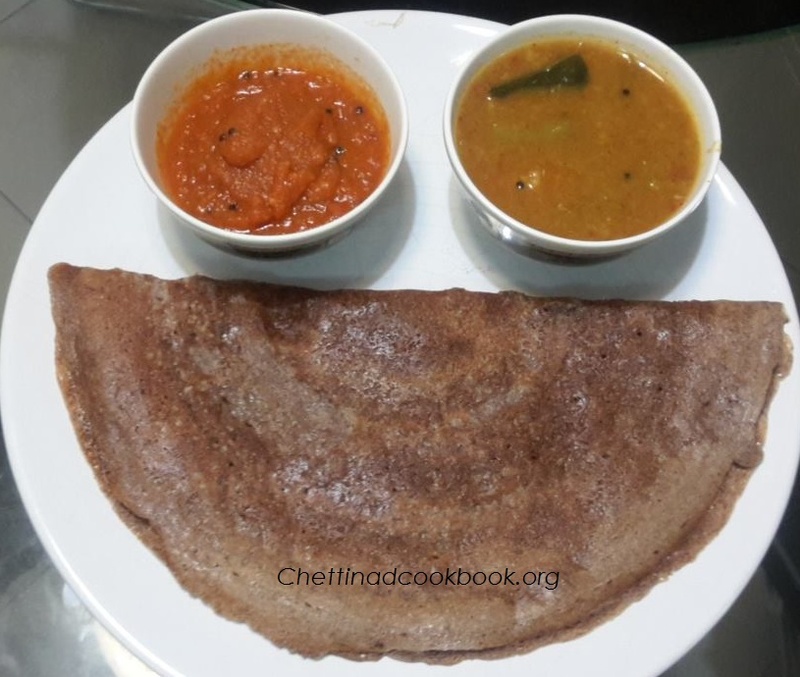 Thick and mini dosa is served in two as set, so it is named as set dosa it will be soft and yummy when compared to normal dosa.The spongy feel which melts in the mouth will make you crave for more. 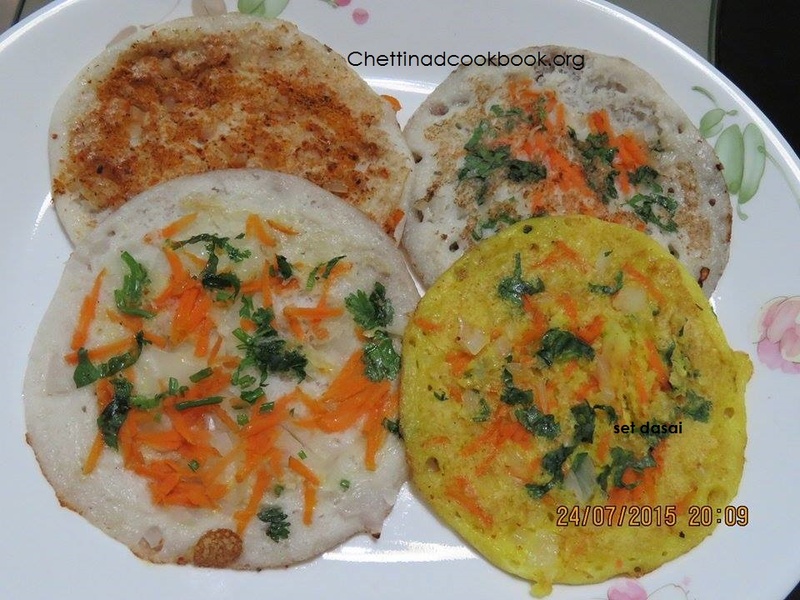 In hotels they mix all rest over batter and make it to thick mini dosa topping with colourful veggies, at the same time when you prepare at home we make it with specific ingredients of set dosa and proper fermentation which gives you wonderful spongy and puffy, delicious set dosa. 1. 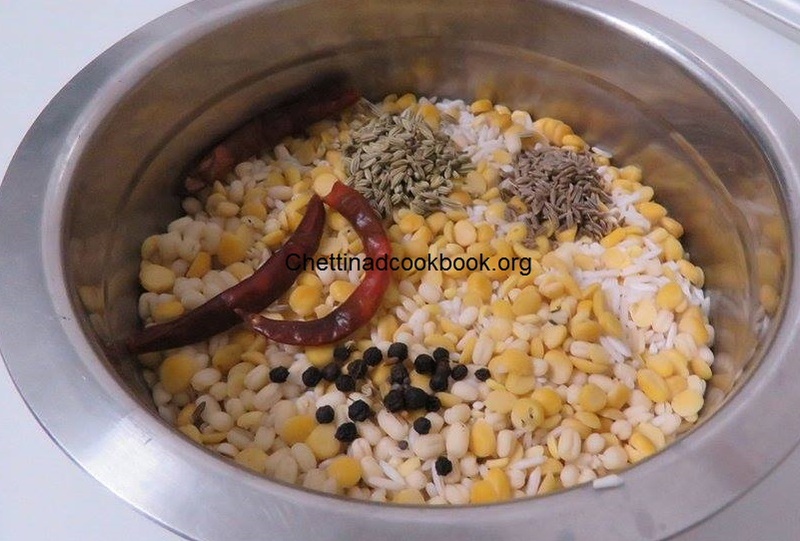 Wash and soak both rice, urad dal and methi seeds for about 2 hours, Soak poha (Aval)separately. 2. 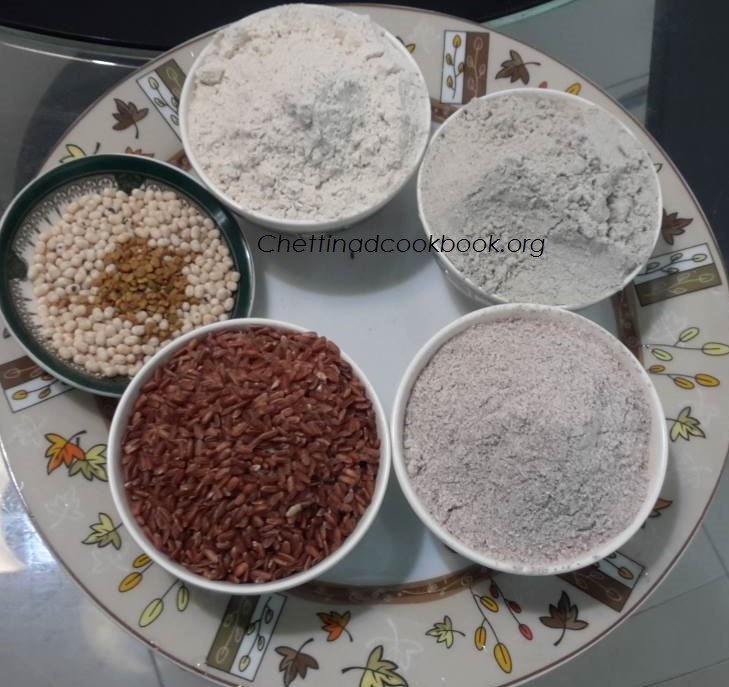 Grind soaked poha first for 2 to 3 minutes then add other ingredients, grind all together to a smooth batter,collect batter in a vessel, add salt and beat well with your hand to get mixed well, close and keep aside to get fermented for 6 hours or overnight. 3.The next day batter will be raised up and ready to make set dosa. 4. 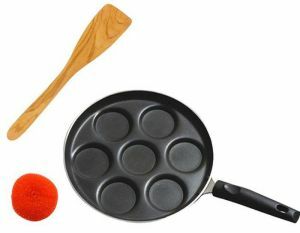 Heat dosa pan grease pan with oil, take ladle full of dosa batter and pour to the middle of the hot pan as shown in the picture. 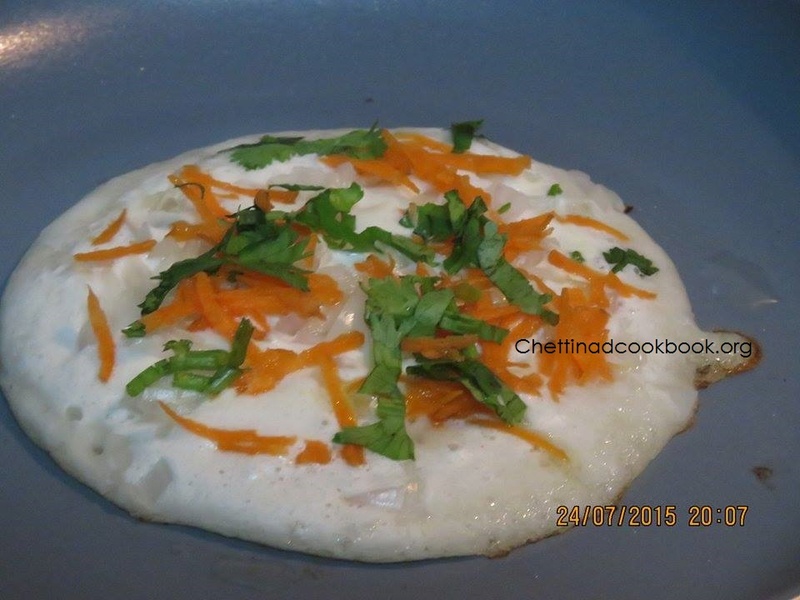 5, Sprinkle some carrot, coriander leaves and onion on top pour 1/2 tsp of oil on its edges around allow it to cook at the edges,turn other side and cook for a minute,Toppings can be done up to your interest. 6. 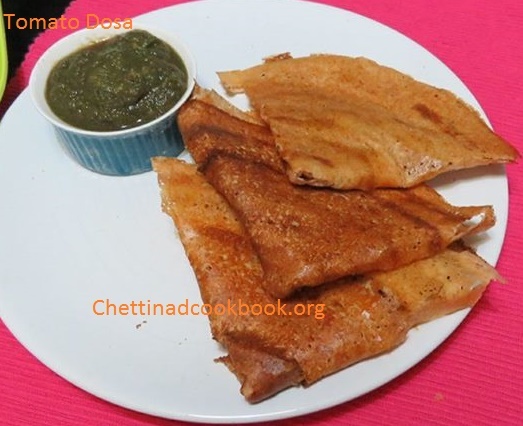 Serve set dosa with pudina chutney or coconut chutney.